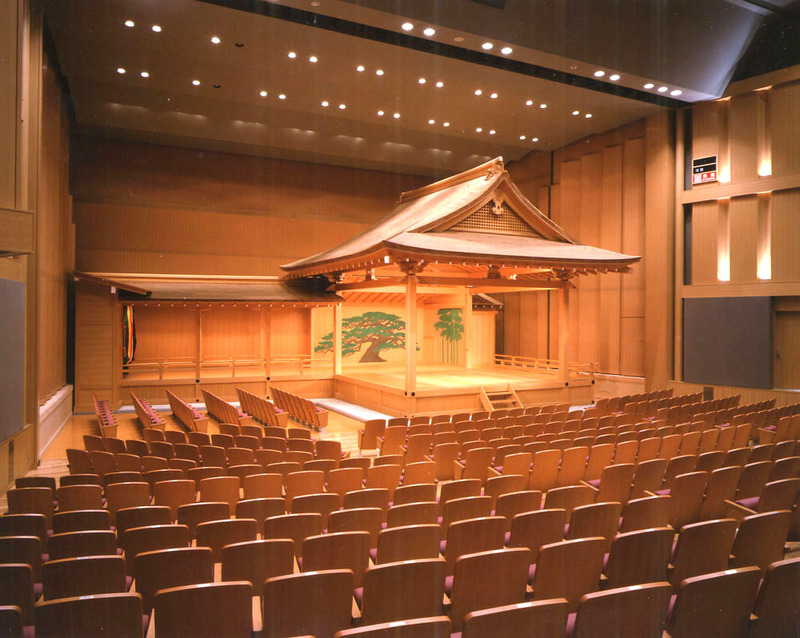 - a museum and cultural facility dedicated to the history of the Uesugi and the Performing Arts. 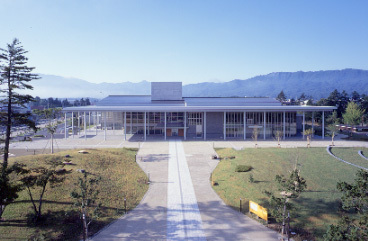 ‘Denkoku no Mori’ is a facility that consists of the Yamagata Prefecture ‘Okitama Culture Hall’ and ‘Yonezawa City Uesugi Museum’. Located on the second floor are the ‘Large Meeting Room’ and ‘Small Meeting Room’, which can be used for receptions and academic conferences. Also available is an information library and activity room, café corner and museum shop. You can view part of the interior of the building from Google street view. ‘Yonezawa City Uesugi Museum’ contains thousands of items related to the Uesugi clan, important cultural items and national treasures. The permanent collection exhibition room is centered on the theme of ‘the Okitama Region and Yonezawa during the Edo period’, with focus on the culture and history of the Uesugi Clan. Included in the exhibition are videos, dioramas and even a matchlock shooting game for you to try. 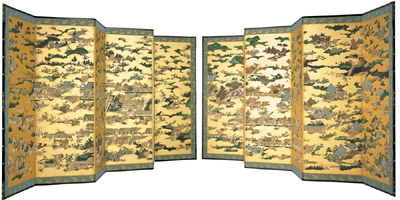 Located in the ‘Uesugi Bunhanakan’ is the ‘Uesugi Rakuchū Rakugai Zubyōbu’ decorative folding screen (original and copy) and ‘The Uesugi Clan Archives’ (national treasure) on permanent display. Exhibitions in the exhibition room are changed around every two months with many items being related to the Uesugi Clan, the Yonezawa domain, and the culture/history of the Okitama region – as well as works by local artists. *Please note there may be changes to this schedule due to maintenance. The ‘Okitama Culture Hall’ is a concert hall with 500 seats and one of the most extravagant stages in the Yamagata Prefecture. This one stage allows for 3 different types of performance. 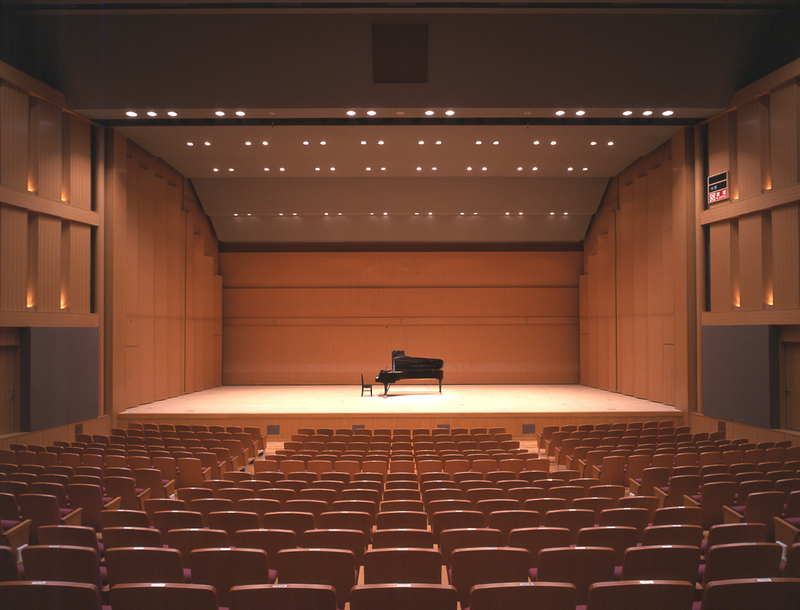 ·Concert Hall’ with German Steinway Piano. ·Theatre’ with a large and extravagant play stage for various performances. ·Noh-Gaku-Dō’ The portable Noh stage located at the entrance of ‘Denkoku no Mori’. Copyright 2015, Denkoku-no-Mori All right reserved.